← A forest not trees…. This week I happened to catch an interesting story in the New York Times by columnist Tara Parker-Pope. She compiled a story about a multi-media project sponsored by her paper that asked readers to submit photos and stories about Life After Cancer. “What cancer made me do in my own professional life is pedal faster,” shared breast cancer survivor Susan Schwalb, an artist featured in “New Meaning and Drive in Life After Cancer.” (New York Times, 12/4/12 D5) Reading it I couldn’t help but think about pedaling but it was direction not speed that had my attention. The piece reminded me of a truly funny exchange that I shared with a professional friend this week. Funny and rare…. “I focus on three things,” responded my then boss, the CEO of a large Fortune 500 company. We were guest speakers at an employee breakfast event on the West Coast. “My work. My kids. And my dog,” he quipped. Truth be told….I am guessing about the dog bit but it’s in the right neighborhood for the response. A brave soul from the audience had asked how we managed our more than full-time work with the other demands of our lives. My CEO side-kick gave his honest answer. He lived in a reality that is unlike mine. He had grown children. He lived in a single earner household. Always had. As he spoke it was immediately clear to me that the honest daily life vignette was to come from moi. “Some days I think I am failing at my job. Other days I think I am failing as a parent. On really bad days it switches mid-day as to which theme is advancing,” I said. I had two children under 4 at the time, Mary Poppins as a nanny, an EVP role in a company with businesses in 37 countries and 3,000 miles to travel that day before I could focus on the co-op pre-school ‘volunteer’ project that I had been assigned for the upcoming weekend’s family festival. The woman who asked the question was relieved, or was it surprised, at my honesty and humility. Gallows humor? 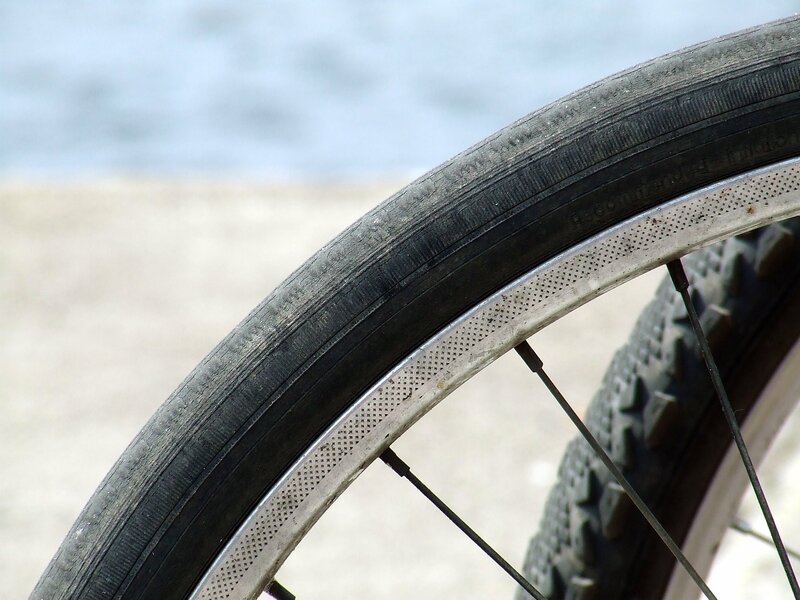 So what does my cooky CEO story have to do with pedaling? For a moment I’m going to call my former boss’s lifestyle a fantasy for most women and men for that matter. But, for me, it simplifies the concept of focus. Mr. CEO’s focus was on his daytime role. All decks were cleared such that his energy could be on that and little else. What progress could you make if you had that kind of freedom? While few of us can ever live it, I find it interesting where I can get to even if I just imagine it. Can this type of simplicity bring you new clarity? Here is a silly, ok horrifying, lens into doing too much….or lack of focus. My daughter shared with me right after Thanksgiving what she thought of as a silly moment. It went something like “we have to take care of them…the boys really can’t do it themselves.” I am paraphrasing, but only slightly. I was stunned. Vocabulary such as this has never crossed my lips. I can only deduce that she observed this as I spun around pre-Thanksgiving running after this or that in preparation for a big feast. Ever hear of patterning behavior? My daughter’s comment made me realize how much of my work is invisible to her. To others too? While she is at school or in the care of a babysitter what does mom do? So much of what she sees is me acting in the selfless service (thanks yoga) to others. Should I be surprised if she gets mixed messages? We stand less than three weeks away from Christmas and days away from the start of Hanukkah. My journey this week has convinced me to slow down the pace and choose a few less detours. It always surprises me that there are messages that I send even without trying. What are you conveying this holiday season? Does it have anything to do with where you thought you were going? 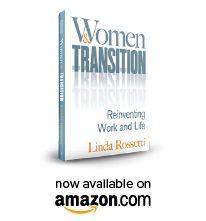 This entry was posted in Observations on Transition and tagged career transition issues, linda rossetti, New York Times New Meaning and Life After Cancer, observations from a women's transition, Tara Parker Pope, women's transition, women's transition issues. Bookmark the permalink. wow – i am definitely pondering what your daughter said, and how the patterns of behavior speak louder than words. Am I (and my partner) unconsciously giving messages such as this?